When it comes to Social Security benefits, your clients need to see the big picture. You can be the one to open their eyes. 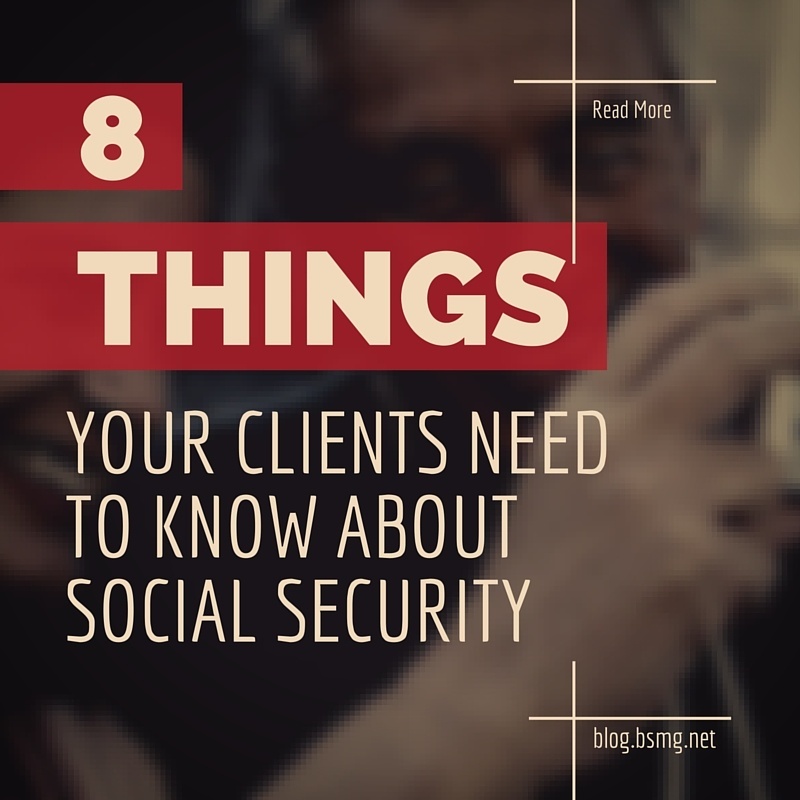 Check out the eight things your clients need to know as they prepare to make decisions about their Social Security benefits. Your clients will no longer receive annual Social Security statements in the mail every year. They can go to socialsecurity.gov/mystatement to access their statement. They will, however, receive a statement every five years, and then annually beginning at age 60. It’s important to review statements on an annual basis, regardless of how often the paper statement arrives. Your clients may need to make sure everything is accurate. If your clients are paying into Social Security, they gain access to survivors insurance. Planning for survivors could be an integral aspect of a financial plan since it can provide supplemental income to a widow, widower, and children. Even if your client’s spouse does not have enough work history to qualify for Social Security or Medicare, she/he can still receive benefits at full retirement age. Money withdrawn from an IRA, pension or other investments will not be considered earnings by the Social Security Administration, so they will not affect the amount of Social Security benefits your client receives. While some individuals pay taxes on their Social Security benefits, most do not. According to socialsecurity.gov, less than 1/3 of current beneficiaries pay taxes on their benefits. Furthermore, many states and local authorities do not tax Social Security benefits. If your client fails to sign up for Medicare when they turn 65, it could result in a 10% penalty added to their monthly Part B premium. Returning to work after receiving benefits—even on a part-time basis—may increase a client’s benefit amount. Creditors (credit card, mortgage and auto loan companies) cannot garnish Social Security benefits to pay off debts. Starting a conversation with existing or prospective clients can open the door to additional life insurance, annuity or long term care business. Find out how you can become a trusted resource when it comes to Social Security and retirement. Call Brokers' Service Marketing Group today, 800-343-7772, to learn more about helping your clients see the bigger picture when it comes to Social Security benefits and retirement or Download our latest guide.